When looking for the best car hire Malta Airport, it's nice to know that you have a choice of the best car hire agencies waiting to provide you with the best hire car deals available. By booking your car hire online with Best Car Hire, in the convenience of your home or office, we compare airport car hire in Malta allowing you to book the best car hire Malta Luqa Airport deals before you fly. Your preferred car hire Malta International Airport, will be ready and waiting for you, allowing you more time to get you to your important business meeting or hit the road to explore your luxury Maltese holiday destination as soon as possible! Choose from the best selection of people carrier, MPV, SUV, economy, executive, saloon, hatchback, premium or luxury car rentals, to make your Best Car Hire Malta Airport experience hassle free. Choose from the leading international car rental companies at Malta Airport or downtown Valletta :- Firefly, Green Motion, Hertz, Interrent, Meli, Surprice and Thrifty. Which Rental Cars Malta Airport Can I Choose ? Can I Book a Minivan or People Carrier Hire Malta Airport ? A minivan or people carrier is the best economical choice of vehicles for all those occasions where you need to transport multiple groups of people such as weddings, anniversaries, children’s parties, hen parties, stag parties or sporting events. If you are arriving at Malta Airport and your group of friends want to hire a people carrier or a mini-van to travel to your luxury holiday villa or to have a fun golf outing at one of the many golf courses in Malta, we recommend that you book the best MPV at least two months in advance. As such, you will find that rental vehicle availability at Malta Airport will be easier and you will get cheaper people carrier rental rates. The summer time, Christmas and Easter holidays are our busiest times for MPV or people carrier hire Malta Airport bookings, so it is best to book early and plan your car hire accordingly. We find that travellers benefit from a people-carrier hire Malta Airport especially when they need a car rental, be it a 6 seater, 7 seater, 8 seater or even 9 seater vehicle. With flexible seating arrangements (backseats can be easily removed to provide more luggage storage) and all-round visibility (most vehicles have a sunroof), all our people carriers or minivans come with refreshing air conditioning (AC), so you will remain cool and comfortable even with a large number of passengers travelling in the people carrier. For your people carrier hire at Malta Airport you can choose from the Nissan NV200, Peugeot Partner, and the Ford Tourneo. All people carriers for rent are subject to availability. Just remember that cheap car rental Malta Airport may not be the best value for money, so please take this into consideration when arranging your car rental. which you may find useful when making your decision to rent a car and which car rental companies you eventually choose for your car rental booking at Malta Airport. 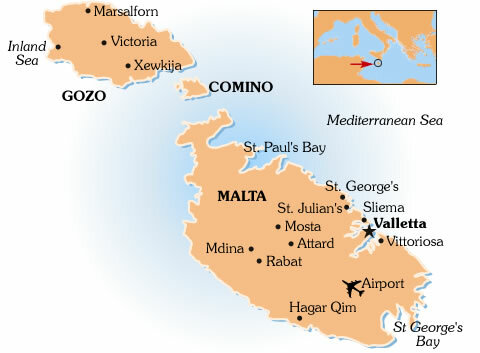 The island of Malta is located in the Mediterranean Sea, south of the coast of Sicily and Italy. It is the largest of 3 islands, the others being Gozo and Kemmuna. 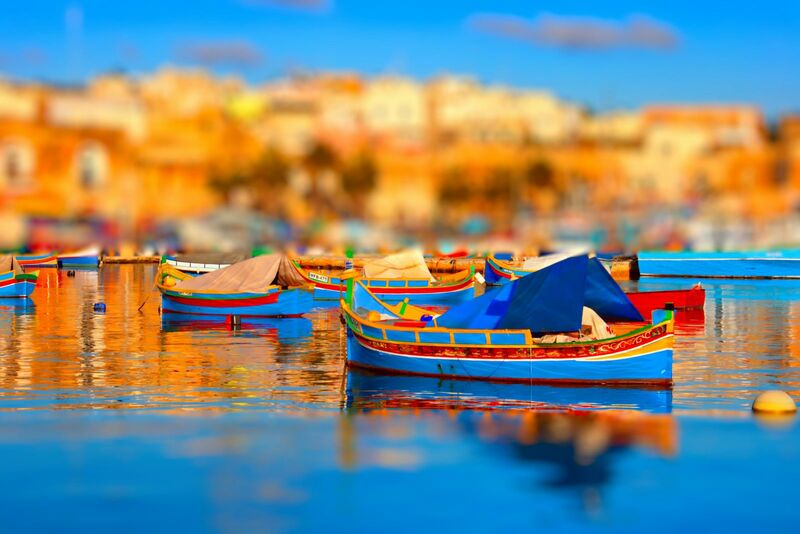 Malta is a fascinating place to visit, with a mixture of holiday resorts to enjoy the best relaxing break with your family, harbours loaded with luxury yachts or to visit the historic sites spread around the island. Malta is steeped in history, and has changed hands over the centuries including the Romans, Greeks, Phoenicians, Arabs, Normans, Crusaders, the French and the British. All have left their mark on the island, and all attracted by its strategic location and good sheltered harbours. The capital Valletta is a UNESCO World Heritage site mainly because of the great number of historical buildings found in a tiny space. Mdina is a journey of about 30 minutes car drive from Valetta. It is very quaint. It was first created by the Romans, and was initially the capital of Malta until the Knights of the Order of St. John of Jerusalem took over. Valletta is the capital and has many interesting historical sites as well as the large naval presence in the deep harbours. Take a trip around the harbour and see all the large cruise liners berthed here. The South is renowned for its quiet secluded villages and fishing villages. Here you will find traditional authentic Maltese rural life at its best and is where the two Malta's prehistoric temples, Ħagar Qim and Mnajdra are located. There is GPS satellite navigation coverage of Malta by the popular telecoms brands, however it is best to check with your car hire company as to whether they make this available to you as part of your car hire Malta Airport deal or not. Popular opinion states that the GPS mapping of the island of Malta is not altogether accurate, and on some occasions will send you up one way streets without warning. 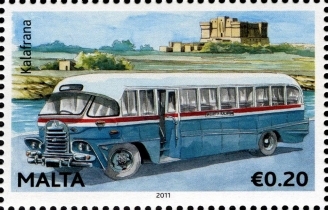 Unlike the majority of Europe, the traffic in Malta drives on the left hand side of the road. Click here for a up to date weather report at Malta Airport. What Documentation Do I Require for my Cheap Car Rental Malta Airport ? To help you rent a car in Malta, we have prepared a car hire travel checklist for your best car hire Malta Airport reservation - but to avoid a headache if you don't plan properly, you will require a valid credit card, a valid photo ID (passport or national ID), driver's licence valid for 2 years and a printed verson of the car rental voucher. Depending on the Brexit outcome (please see below), you may also require an International Driving Permit (IDP). If you do not present any of the documents mentioned, the documentation is not valid or you do not have enough funds on your credit card, the car rental agent may refuse to release the vehicle and no funds will be reimbursed to you. After Brexit - How Will My Travel from the UK to Malta be Affected? If the United Kingdom leaves the European Union (EU) with no deal on 29th March 2019, the rules for travel to countries still in the European Union will be changing. The major change is that travellers will need at least 6 months left on their UK passport from their date of arrival at their destination (Malta), however this only affects travel to certain countries. Fortunately, as there is a considerable amount of confusion surrounding this, the gov.uk website contains a simple passport checker. Will I Need a Visa for Travel to Malta Airport after Brexit ? The European Commission has confirmed that visitors won’t need to apply for a visa if they are travelling this year (2018). However, from 2021 they may be required to pay a fee of €7 to enter the European Union. The reason for this is that a transition period will take place once a Brexit deal is agreed, and this could take as much as 2 years. From 29 March 2019, in the event that there is no EU Exit deal, drivers may need an IDP (International Driving Permit) in addition to their UK driving licence to drive in EU and EEA countries. Further information for UK citizens travelling abroad can be found on the UK Government website. Our multi-lingual team of customer care agents are on hand 24 hours a day, 7 days a week to assist if you should require assistance with your Malta International Airport rental. Enjoy duty free shopping at Malta International Airport. That means major savings on perfume, cosmetics, spirits and tobacco goods, which together with monthly price highlights, makes a visit to the Duty Free Store extremely worthwhile. All major cards are accepted, as well as, all major currency at local bank rates of exchange.